I love all the Maybelline products because they always represent great quality at very affordable prices. 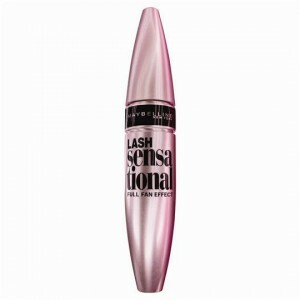 The Lash Sensation Washable black mascara is one of the best mascaras I’ve tried and is so easy to apply. Wonderful. This is by far my favourite mascara. It has a fan-like brush which, with a little manipulation, can create the most beautiful thick voluminous lashes without the aid of false lashes. I find the formula is a great consistency and doesn’t clump up like other can do. It washes off easily yet I believe is waterproof. I would definitely recommend this product. How would you rate Maybelline Lash Sensation Washable Mascara Very Black?